Manchester City Close To Completing Deal For Napoli Midfield Ace: End Of This Transfer Saga? ESPN columnist David Amoyal took to Twitter to state that Manchester City are very close to completing a deal for Napoli midfield ace Jorginho. The midfielder has been the subject of an ongoing transfer saga between the two clubs with the deal swinging back and forth every other day. 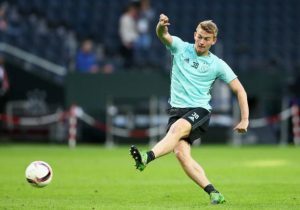 The midfielder has been linked with a move to Manchester City for well over two months now with Pep Guardiola keen on the midfielder to strengthen his squad. At City, the likes of Kevin De Bruyne, David Silva and Leroy Sane have attacked endlessly, thanks to the solid base provided by Fernandinho. In Guardiola’s 4-3-3 system, one man in midfield sits behind while the rest attack. Fernandinho covers an essential and huge part of the game. He covers the defence, orchestrates the midfield and initiates attacks for his team. Fernandinho had backups in the form of Yaya Toure and Ilkay Gundogan. Gundogan is not typically a defensive midfielder and has had to play out of position to cover for City. As for Toure, he has finally left after failing to shine under Pep Guardiola, yet again. Jorginho will be a good fix for City as he will be a good backup and provide good cover for Fernandinho. He is, however, yet to prove himself outside Italy and City will have to gamble some money on him given that he is unlikely to come for cheap. The player will reportedly cost over £60m and the negotiations over the price have seen the deal sway back and forth. It was reported that Guardiola was targeting Napoli midfield ace Jorginho as his priority signing but the Naples side played hardball and that had left City looking at other options. However, Amoyal’s statement would again have us believe otherwise and it seems City may well end up getting their man. Read More: Manchester City Favourites To Sign This Dutch Defensive Star: Do They Really Need Him? Losing Jorginho will be a big loss for Napoli who were excellent this season and came close to winning the Scudetto. However, the Naples side will be compensated fairly if City do end up paying £60m and that will allow Napoli to find other players in the market. A long deal that finally appears to have reached its end and all three parties are set to walk away happily with the deal. Manchester United Linked With Audacious Move For French Starlet: Is He Worth The Fuss? Chelsea Join The Race To Sign In Demand Napoli Midfield Star: What Can He Bring To The Table? Chelsea Ready To Blow Manchester City Away In Pursuit Of Napoli Ace: A Masterstroke By The Blues? 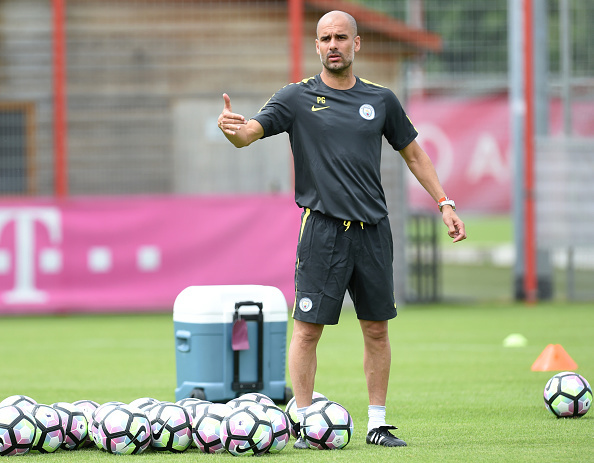 Manchester City Inch Closer To Sign Top Transfer Target: Just The Man Guardiola Needs? Manchester City Interested In 26 Y/O Napoli Midfield Ace: Why They Should Go All In For Him! Manchester City Could Land Napoli Ace Any Time Now: What Will He Add To Their Midfield?